Avanti Magazine 137 includes an article about the Canadian Auto Show. 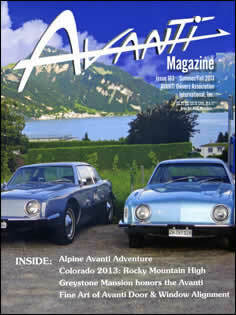 Avanti Magazine 163 includes "Alpine Avanti Adventure." 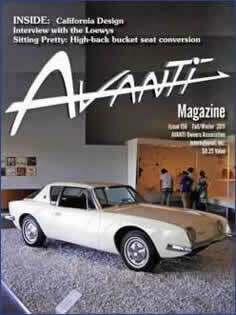 Avanti Magazine 156 shows the Avanti on display at the LA County Museum.